The regeneration of Greenwich Peninsula has called for a 21st Century solution to the health and well being of the nation. Following on from the research provided by the Peckham Experiment that helped to write many of solutions used by the NHS today, an update is required to account for the changing environment that we live and work in today. With work hours increasing and holiday budgets decreasing, this centre allows familys to travel to this holiday park where they can select their ideal holiday. 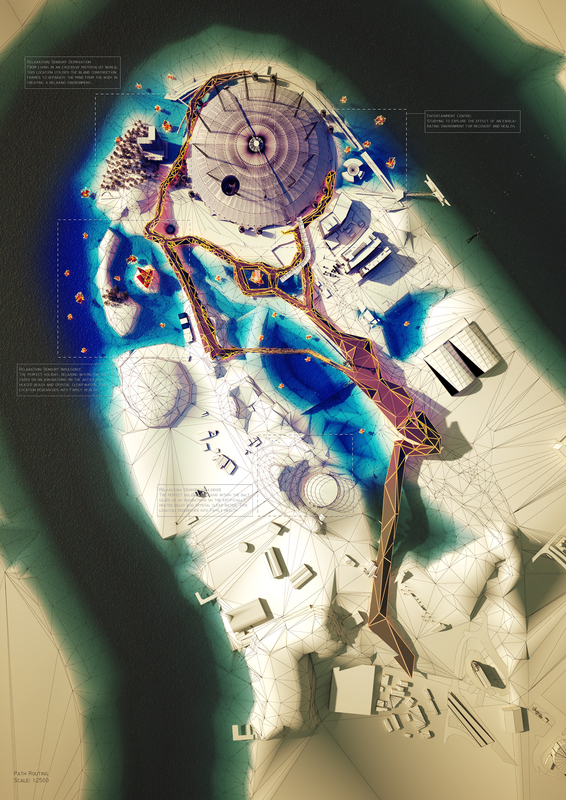 Research will then be collected and the park adapted to ensure the highest satisfactory in well being can be reached.